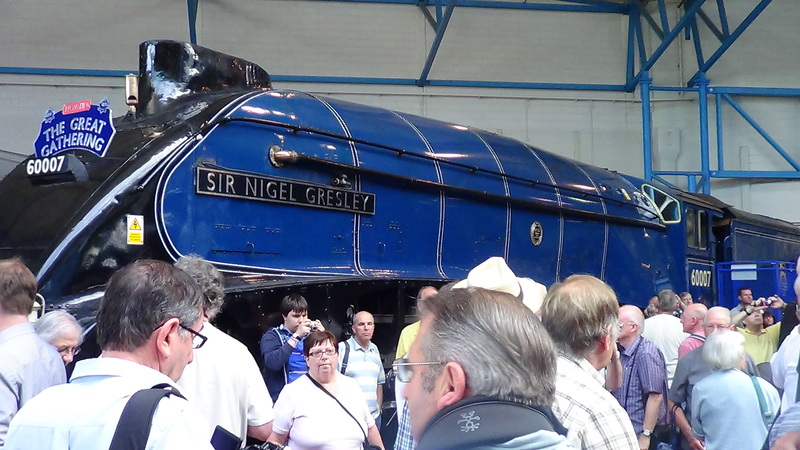 Completed in 1937 this was the 100th Gresley designed Pacific locomotive to be built. 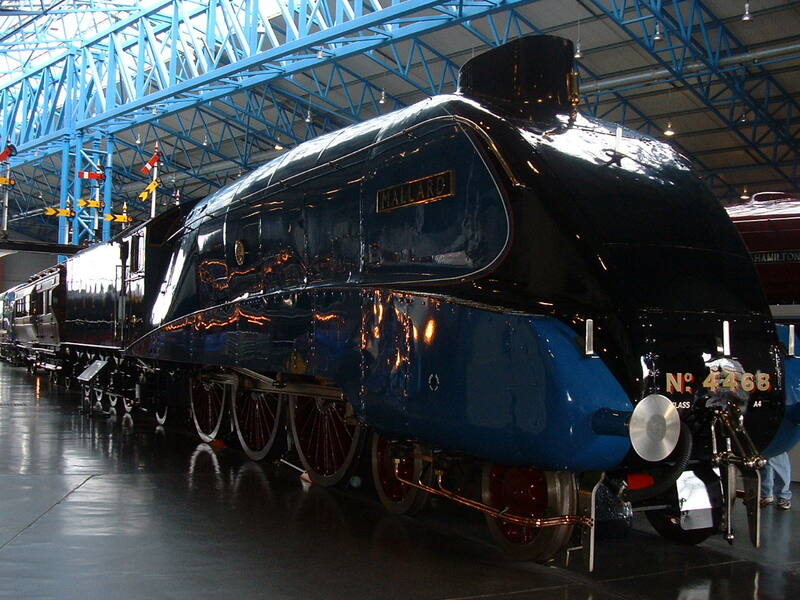 It worked its life on the East Coast mainline and holds the post war steam speed record of 112 mph set on 23/5/1959. 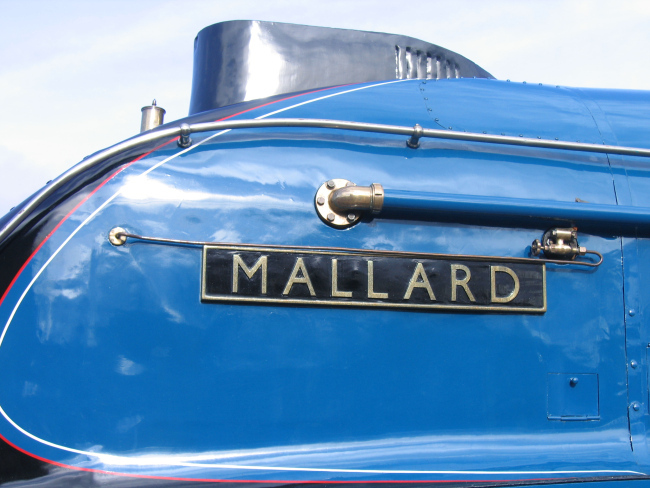 This was achieved over the same stretch of track the Mallard had used for the world record run pre-war, but the difference was that 4498 was pulling a full passenger train. It was withdrawn from service in February 1966 and sent to Crewe for refurbishment as it had been purchased by a preservation trust. Following this it was used to run railtours out of Steamtown at Carnforth. 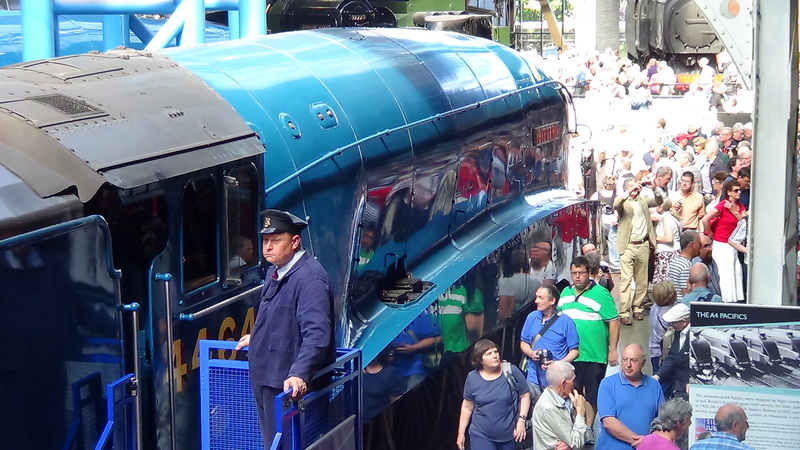 In 1994 it transfered to Great Central Railway and also did a spell at the East Lancs Railway before being based on the North York Moors railway. In 2012 it took part in the Olympic torch tour of the UK. THEY’RE just machines aren’t they? One hundred and two tons of metal forged and hammered into shape to fulfil a function. Well yes, and no. If that’s all they were we wouldn’t care about them would we? Not only do we care, we are in awe of these machines. This morning I involuntarily smiled when I heard one of them whistle, a sound carried on the breeze across the north of Darlington, as it made its way down the branch line from Shildon. 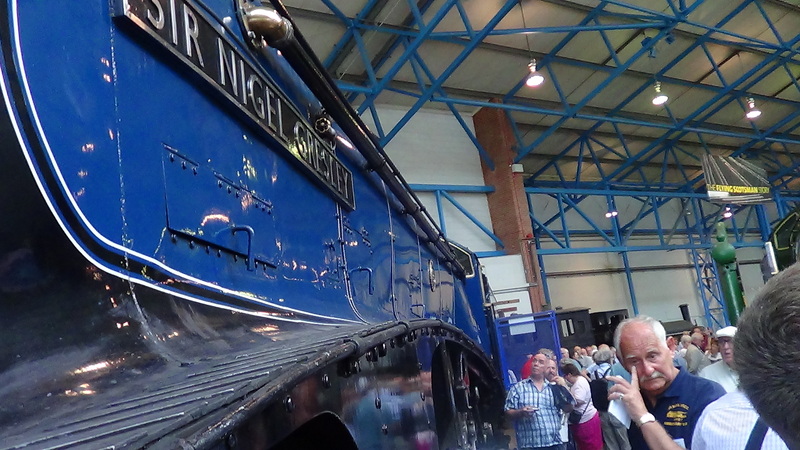 And we cared in huge numbers over the last week or so as the remaining six Class A4 Pacific steam locomotives went on show at Locomotion in Shildon (http://www.nrm.org.uk/PlanaVisit/VisitShildon) in an event named The Great Goodbye. 4496 was built in 1937 and was originally destined to be called Sparrowhawk. However, when it left the works, it was named Golden Shuttle in recognition of the Yorkshire wool industry. Its initial use was on the route between London and Leeds and between London and Bradford. 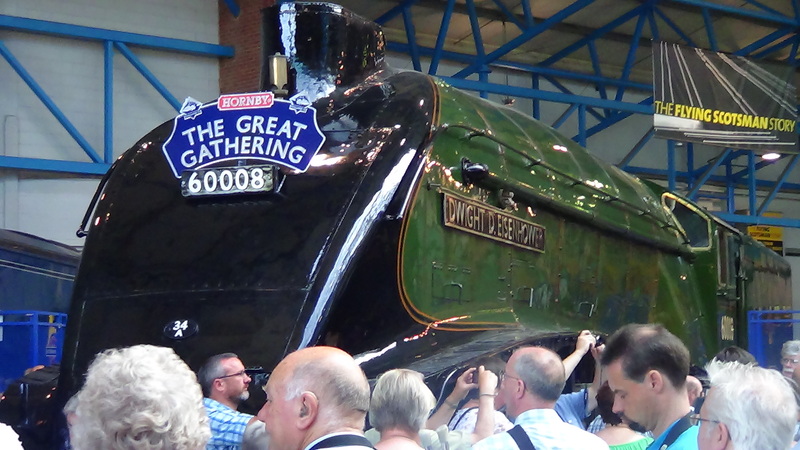 In 1946 the locomotive was transferred to the East Coast mainline and renamed Dwight D. Eisenhower, after the American wartime commander (later to be President of the United States). 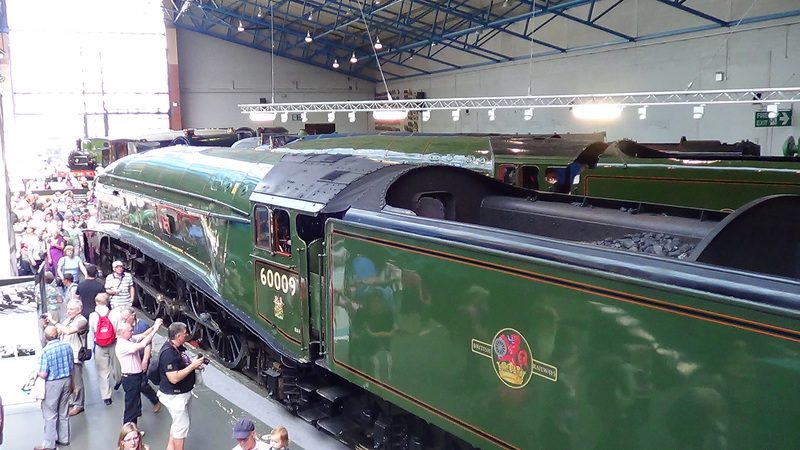 The locomotive was withdrawn from service in July 1963, taken to Doncaster works for refurbishment and then shipped to United States of America where it went on display at the National Railroad Museum in Green Bay, Wisconsin. 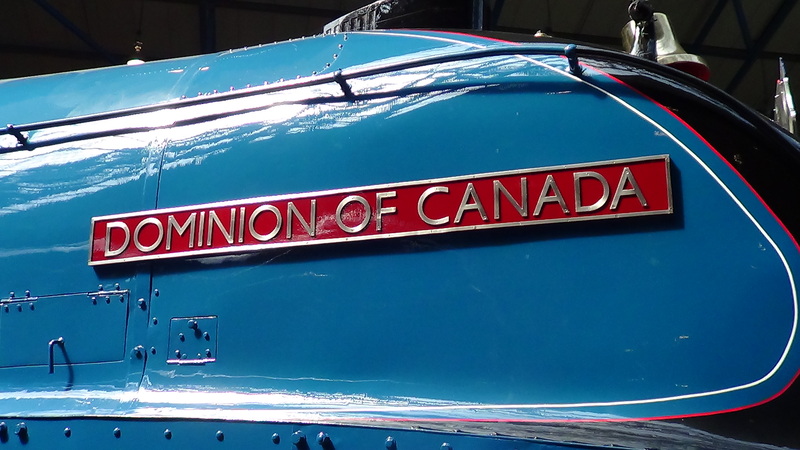 In September 2012, it traveled Halifax Nova Scotia where along with the ‘Dominion of Canada’ it was shipped to the UK for participation in the Mallard 75 celebrations. It will return to the USA in spring 2014. Bittern was built in 1937. 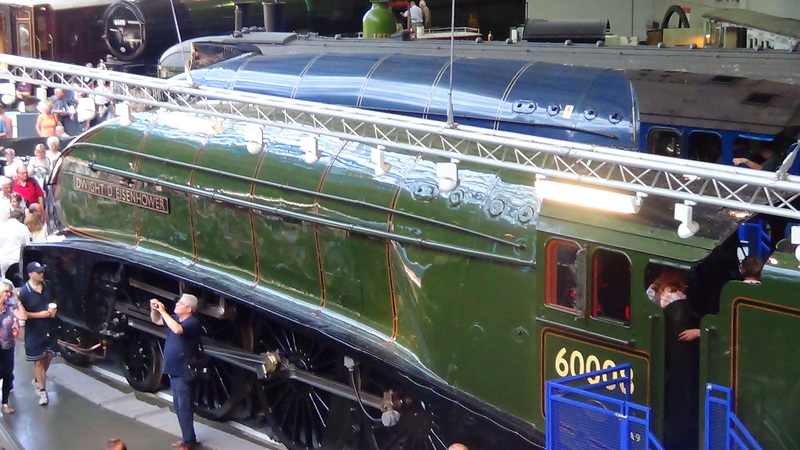 It spent most of its working life on the East Coast mainline, particularly hauling the ‘Flying Scotsman’ service between King’s Cross and Newcastle. In November 1963 it was transferred to haul the services between Glasgow and Edinburgh, and has the distinction of pulling the last steam service between Glasgow and Aberdeen. It was withdrawn from service in September 1966 and was based in York for use on railtours. 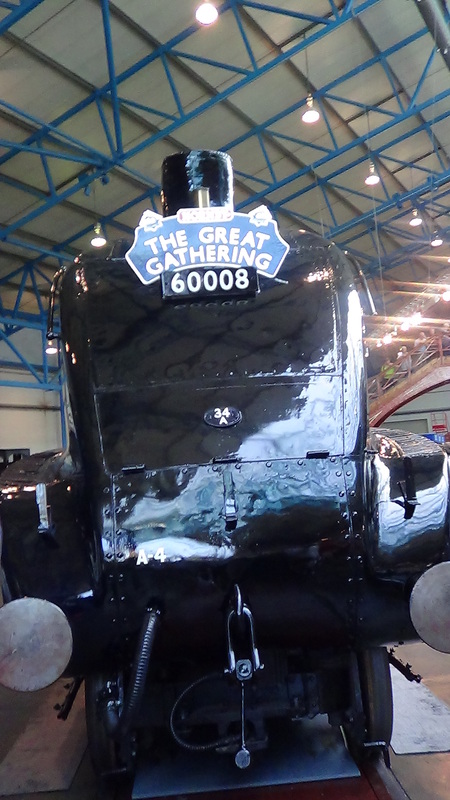 Following engine problems, it was housed at the Dinting Railway Centre, the Stephenson Railway Museum in Newcastle and the Great Central Railway before being sent in 2000 for complete overhaul and restoration. 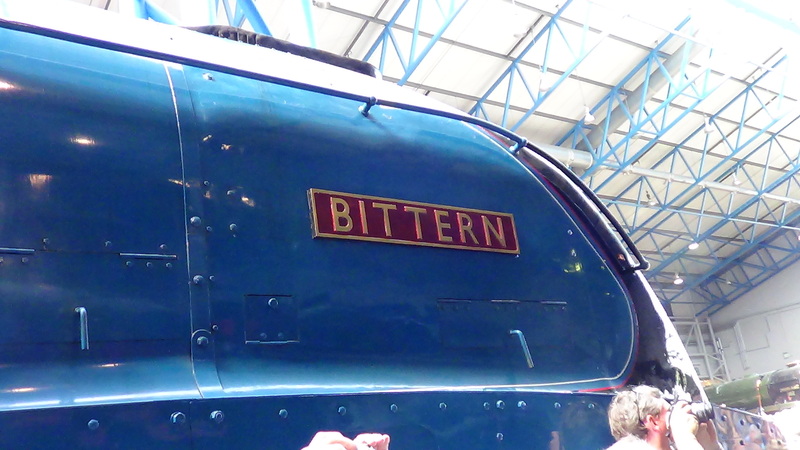 Bittern was steamed again in May of 2007 and has since worked on railtour duty. 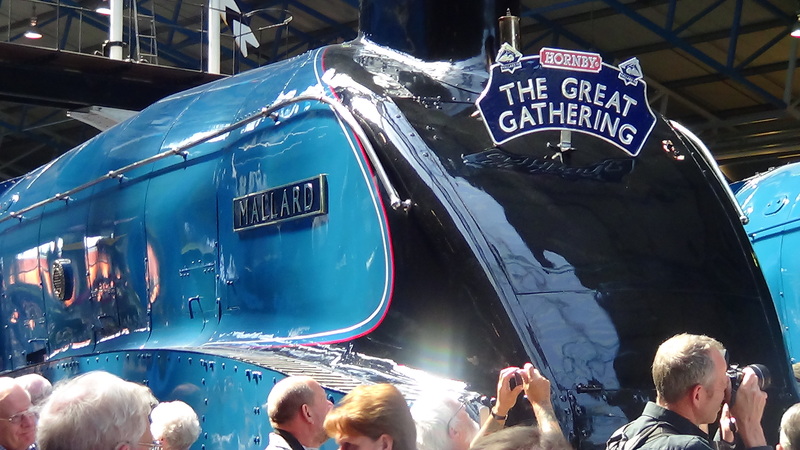 During this time it has been rebranded as 4492 Dominion of New Zealand, but has been returned to original name and number for the Mallard 75 celebrations. 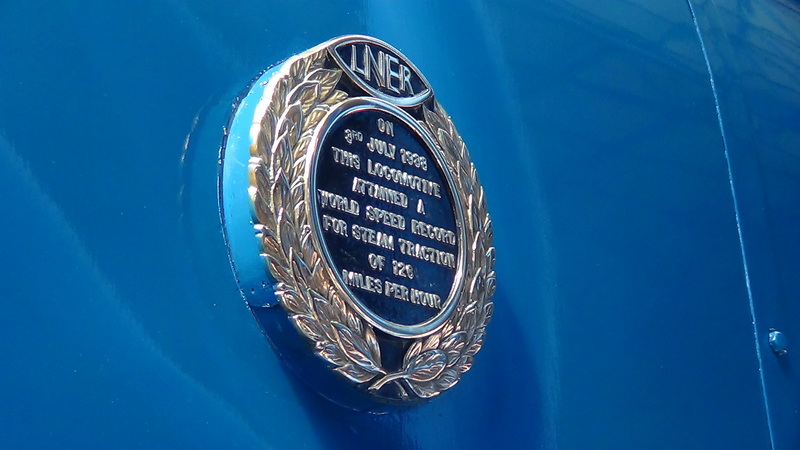 On 29 June 2013, the locomotive set a British speed record for a preserved steam locomotive at 92.5 miles per hour. 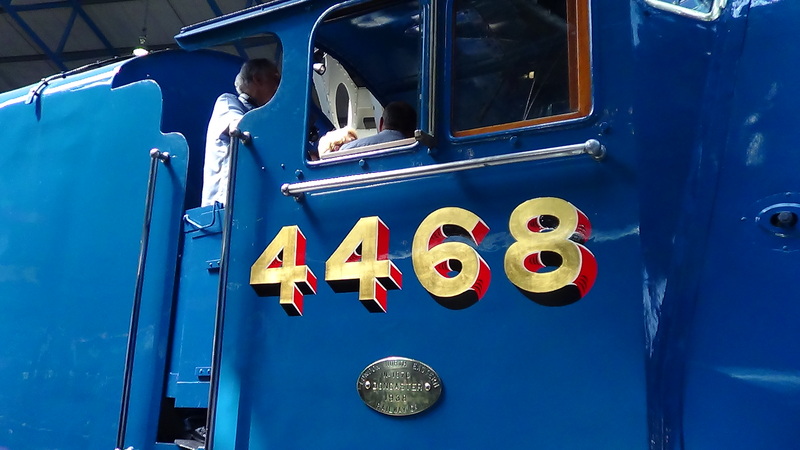 4489 has gone under a number of different name changes during its life. It was originally to be called Buzzard, but was eventually named Woodcock when it left the works in May 1937. In December of that year, it was renamed Dominion of Canada. In recognition of this, it carried a Canadian Pacific Railway issue whistle and bell, the only A4 to do so. The locomotive spent its time on the East Coast mainline until its withdrawal from service in May 1965. 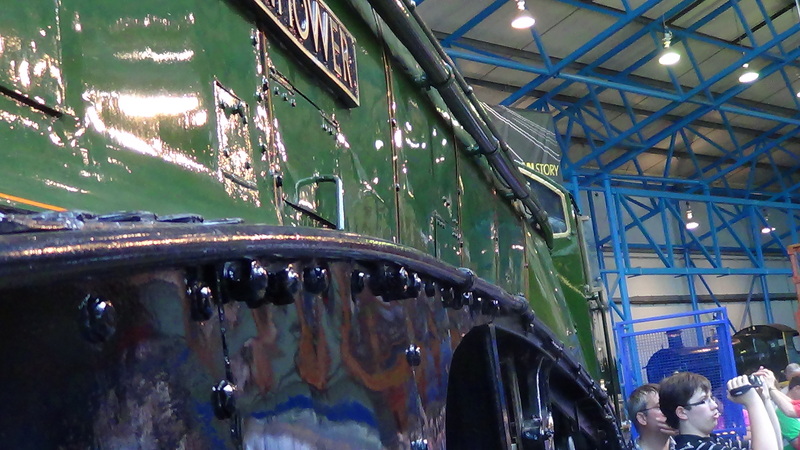 It was initially stored in Darlington depot as they began restoration crew in March 1966. Following restoration. It was shipped to Canada and displayed in the Canadian Railway Museum near Montreal. 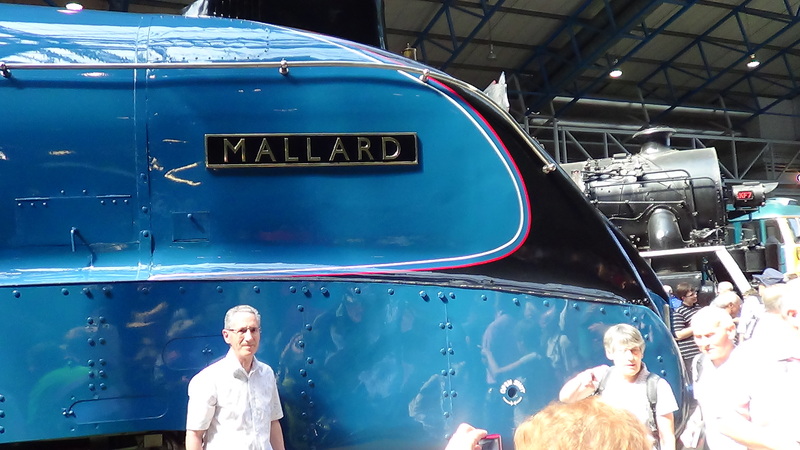 It was shipped back to the UK in September 2012 to take part in the Mallard 75 celebrations, prior to which it received a complete overhaul. It will return to Canada in the spring of 2014. Built in 197, this A4 pacific locomotive was originally due to be called Osprey, in keeping with the bird themed names of other A4s. 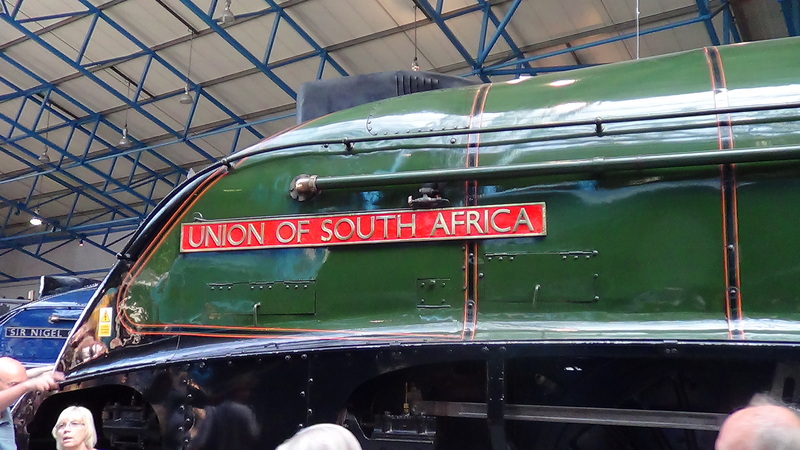 However it was renamed Union of South Africa before entering service on the East Coast mainline. It was renamed as Osprey in the 1980s and 1990s due to the political situation between the UK and South Africa, but has since reverted to its original working name. In October 1964 4488 hauled the last steam train from Kings Cross to Edinburgh and it was withdrawn from service in June 1966 and passed into private hands. 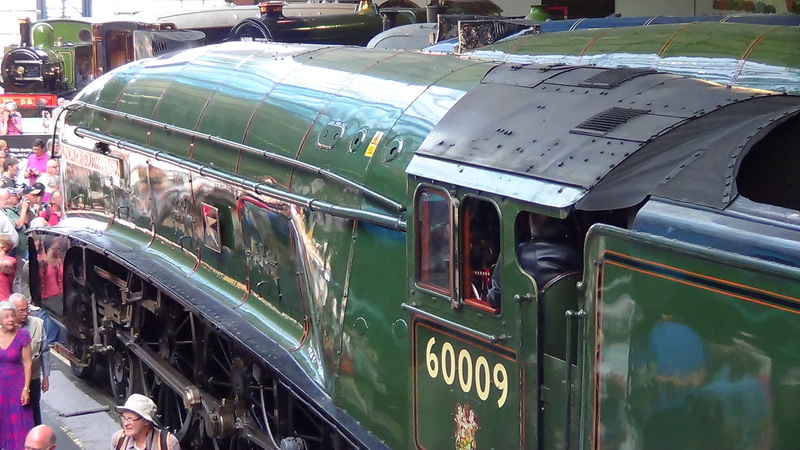 It has spent most of its time being based in Scotland or at the Severn valley Railway in the English Midlands and extensively used for railtours. As some of you may have realised by know the A4’s are my favourite steam loconmotives. 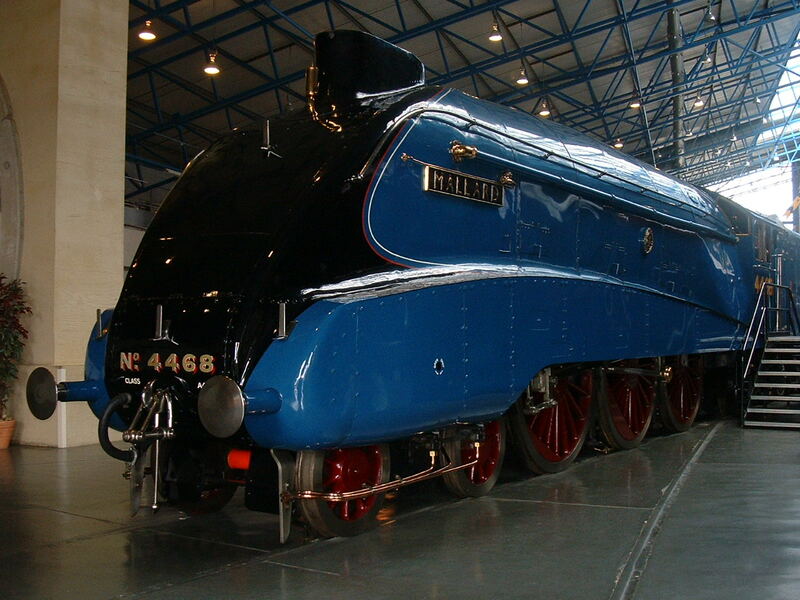 This year is the 75th anniversary of A4 Mallard setting the world steam speed record and the National Railway Museum is planning a series of events. 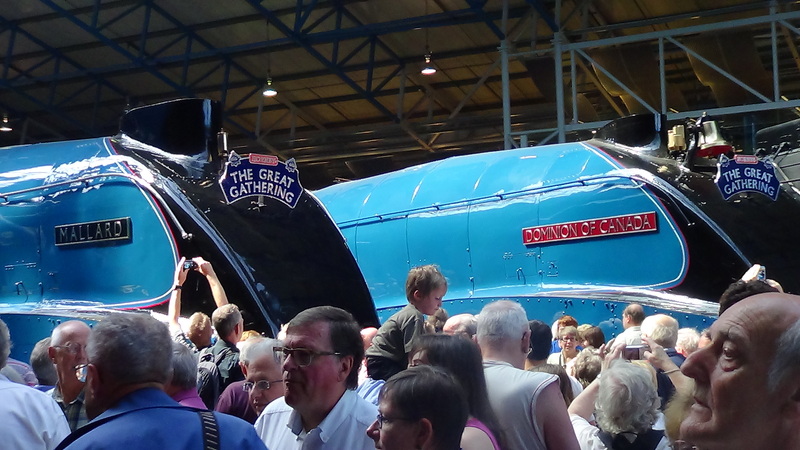 I plan to be in York for the July celebration when the 5 surviving A4s will all be seen together for the first time ( and possibly the last since one is from the USA and one is from Canada) since they were withdrawn from service.